Italian creativity and German rigour. 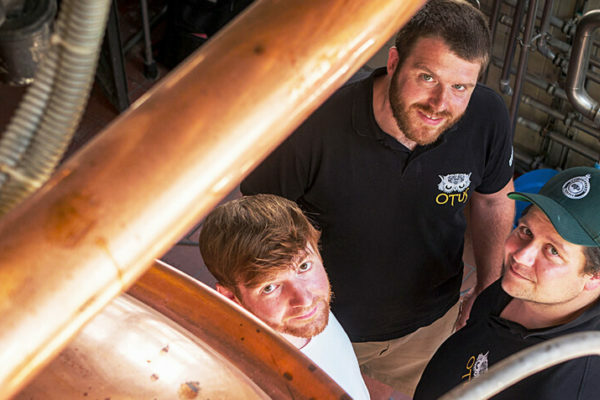 The new DUEX brewery from Cologne starts its adventure in the craft beer world by tapping a Citrus Pale Ale, a celebration beer that was imagined and refined with OTUS from Seriate. During the opening, on 1st October 2018, DUEX Brewery will welcome hosts by tapping a beer that was born thank to the collaboration between two brewmasters: Benedikt Ott, German, and Alessandro Reali, by Otus. It is a golden colured Citrus Pale Ale inspired by Kölsch beer, one of the last surviving high-fermented beer in Germany. Proof will be tempered and German and American hops will offer a slightly bitter flavour. The aromas will be strongly but finely fruity, deriving from Bergamotte and Italian lemon peels. The recipe created by the two professionals originally combines our beer tradition and the German one. Alessandro and Benedikt have worked together in Cologne and shared their experiences about the beer production until they reached the perfect synergy between the Italian creativity and the technical rigour. The collaboration between the two breweries aims at promoting and spreading the craft beer world qualities and spirit to a wider range of consumers, starting in this way a professional synergy that seems to become long-lasting and fruitful. “The whole beer history is studded by knowledge exchanges among brewers from the Mediterranean area and the Transalpine one. The first Italian pub opened in Ancient Rome times thank to a collaboration with English brewers” stated Alessandro Reali. Thinking about this fascinating history, we can curiously note that the craft brewery DUEX is located in the Deutz district in Cologne, that rose up from the foundations of a Roman forte, Divitia, built between 308/315 on the right bank of the Rhine river. DUEX has also produced a Pils, a Hefeweizen, an IPA, a Red Ale and other seasonal beers. We just have to wait that the Citrus Pale Ale ripens to the right point.